To be, or not to be, that is the question. Or better yet, a better question would be, DVD, or not DVD, when will they be released as I want to watch a movie over the weekend. One could be about an army of soldiers in Benghazi, while another could star that girl or that boy from the Harry Potter films. Want to know what I'm referring to? Then check this out. The film stars John Krasinski (The Office), James Badge Dale (World War Z) and Pablo Schreiber (Orange is the New Black), and is based on the nonfiction novel, '13 Hours: The Inside Account of What Really Happened in Benghazi', written by New York Times best-selling author, Mitchell Zuckoff, with the members of the Annex Security Team. 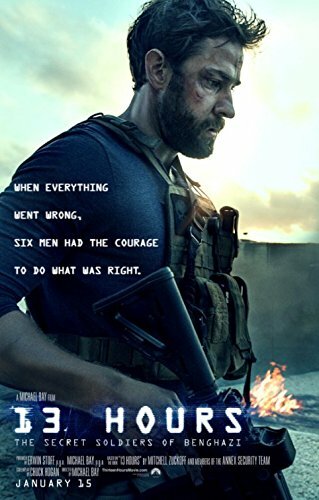 Included in the Blu-Ray version is an hour of bonus content featuring behind-the-scenes footage and interviews with the six ex-military operators recounting the extraordinary detail involved in recreating the events from the attack. Plus, join the cast and crew as they highlight the filmmaking process and how director Michael Bay brought it to life. Release Date: the 30th of May, 2016 / Running Time: 2 hours 24 minutes / Genre: Thriller / Special Features: Yes / Distributed by Paramount Home Media Distribution. Set during the Chilean coup of 1973, 'Colonia' begins by depicting a hoard of people out on the street, protesting against General Pinochet. 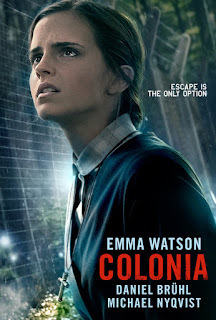 Among them are a nice young couple named Daniel (Daniel Brühl) and Lena (Emma Watson), who, just like many others, get arrested by Pinochet’s secret police for producing propaganda against the regime. Following his arrest, Daniel finds himself trapped in a secret interrogation camp located beneath the infamous Colonia Dignidad: a German sect under the leadership of the notorious, charismatic, and unflinching Paul Schäfer (Michael Nyqvist). Presenting itself as a charitable mission, the Colonia is in fact a place of brutality and terror that nobody has ever escaped from. So desperate to rescue her boyfriend, Lena infiltrates the cult and witnesses the true darkness of Schäfer’s regime before she attempts a dramatic escape that puts both their lives in danger. Release Date: the 1st of July, 2016 / Running Time: 1 hour 50 minutes / Genre: Drama / Special Features: No / Distributed by Signature Entertainment. Directed by Antoine Bardou-Jacquet (holder of the Guinness World Record for "Most Awarded Commercial"), 'Moonwalker' asks the question, ‘What if Apollo 11 never actually made it? What if, instead, the legendary director Stanley Kubrick secretly shot the famous images of the moon landing in a studio, whilst working for the US government?'. 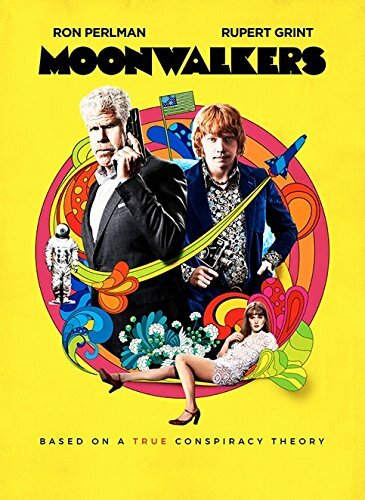 This is the premise of a perfectly plausible conspiracy theory that takes us to swinging sixties London, England, where a stubborn CIA agent (Ron Perlman) is forced to team up with the lousy manager of a seedy rock band (Rupert Grint) to develop the biggest con of all time, in this riotous, high-tempo action-comedy penned by Dean Craig (Death At A Funeral). Release Date: the 30th of May, 2016 / Running Time: 1 hour 37 minutes / Genre: Comedy / Special Features: No / Distributed by Icon Film Distribution. Mitch (Scott Eastwood) is a troubled young man who hightails it to Mexico so he can leave his dead-end American life behind him. Yet as soon as he arrives he’s recruited to join a group of paramilitary teenagers that want to take the fight directly to the drug cartels source. 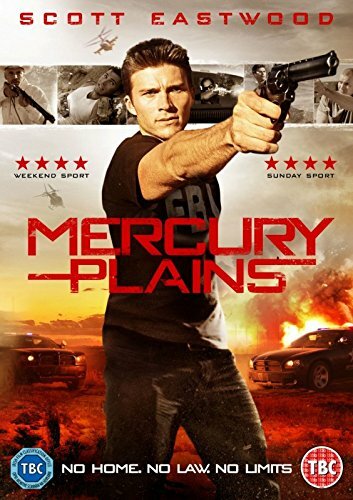 Once at their desert camp, Mitch finds himself being groomed to be the team’s top operative whilst their campaign against the drug lords ramps up a gear. As the raids become bloodier and the Mexican police are closing in, Mitch quickly realizes that his only way out is to escape back to the USA. With Eastwood effortlessly channelling his father Clint’s early charisma, as well as being just as easy on the eye, 'Mercury Plains' plays out as a smart companion piece to this year’s Sicario, albeit with a hugely attractive, much younger cast. Release Date: the 2nd of May, 2016 / Running Time: 1 hour 42 minutes / Genre: Action / Special Features: No / Distributed by Signature Entertainment. So far the season hasn't been going too well for Wigsy (Warren Brown) and Cliff's (Greg McHugh) favorite football team. Yet still optimistic in their demeanor, these two adoring supporters rally forth and join in with the rest of their pals on the terraces to sing, and cheer, their boys to victory. Today is going to be different. Today is going to be important. For if they win: Bingo, they stay up. But if they lose: Damn, they go down. In the dying moments of the match, unbelievable elation is quickly followed by unbelievable deflation when the Ref (Alistair Petrie) disallows the final last minute goal. This, compounded by a goal at the other end, sends the losing supporters into a frenzy. So much so, Wigsy, with a more reluctant Cliff in tow, decides to do the only decent thing -- kidnap the referee. 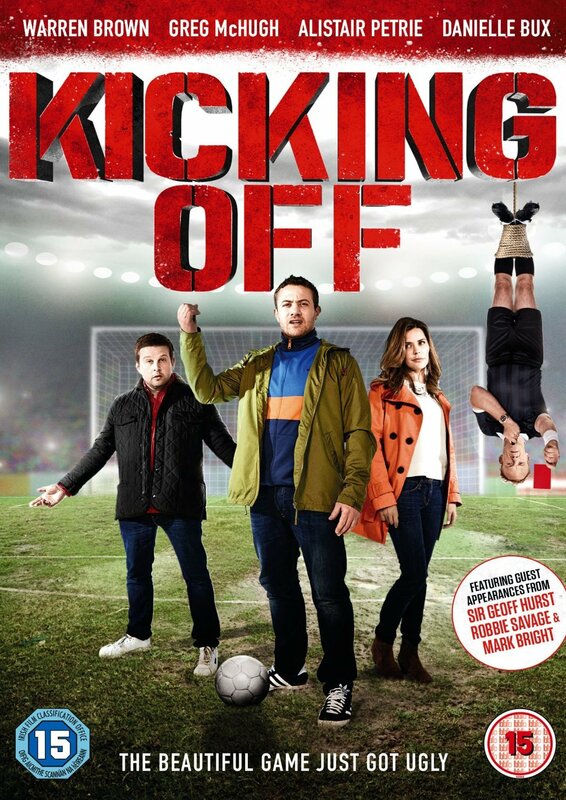 Also starring Danielle Bux (Silent Witness) and with cameo appearances from Sir Geoff Hurst, Robbie Savage, and Mark Bright, 'Kicking Off' is one of the essential British comedies of the year. It wowed audiences at the 2015 Raindance Film Festival where it was awarded Best British Feature. Release Date: the 21st of April, 2016 / Running Time: 1 hour 21 minutes / Genre: Comedy / Special Features: No / Distributed by Precision Pictures. Hardworking shoe-salesman Harry Witherspoon (Dominic Marsh) travels to Monte Carlo to claim an inheritance from his late rich uncle. But upon his arrival, he is soon met with a wall of resistance, one of them being Rita LaPorta (Pamela Shaw) and Vinnie Du Ruzzio (Jason Alexander) who've also raced to Monte Carlo in an attempt to steal his fortune. Whereas the other is a mysterious young woman (Nikki M James) who's looking to gain from Harry’s inheritance, any which way she can. 'The Lucky Stiff' musical was first made as an off-Broadway production in 1988 and is based on the Michael Butterworth novel, 'The Man Who Broke the Bank at Monte Carlo'. In 1997 the musical was seen in the London’s West End with great success. Release Date: the 27th of May, 2016 / Running Time: 1 hour 18 minutes / Genre: Musical-Comedy / Special Features: Yes / Distributed by Signature Entertainment.